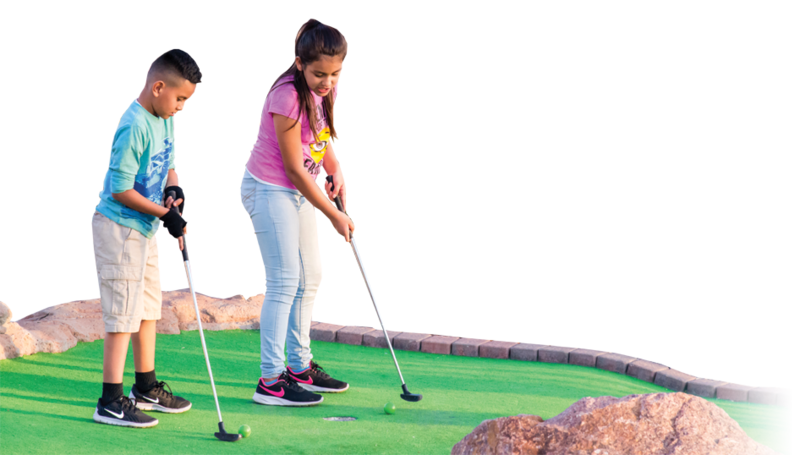 Miniature golf is a classic family favorite. 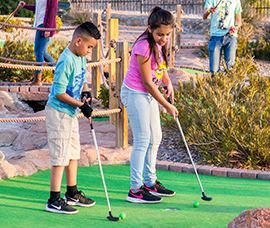 El Paso’s only 36 holes mini golf course complete with caves, waterfalls, and streams. The Mountain Course trail is a challenging course that will take you around our golf course for a great view of the entire park. The Valley Course is an exceptional course that will have you going through our caves and next to our water features. alleged injuries or alleged theft and anything else not mentioned here.